Apps and games for iPhones and iPads. Mr Cat! He's the best! ..and it's all thanks to Cat Haven. 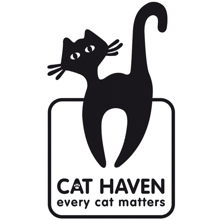 Cat Haven is the perfect place to find your new feline companion. Go and see if you can help in their quest to rescue cats from the perils of the streets. Never forget an episode again! TV Series Tracker keeps track of which episodes you have not yet seen, which episodes are coming out next and when!